Energy Light Rejuvenation™ is the future of skincare technology. Developed from ancient healing traditions, ELR™ is where holistic goes high-tech! Bridging Eastern technique and Western technology, Energy Light Rejuvenation combines Microcurrent with Therapeutic Light and Color to provide a one-of-a-kind rejuvenation treatment that meets your specific needs. ELR™ is the perfect renewal remedy for those who want to hold the hands of time and age at their own pace. All this without surgery, needles, redness, flaking, downtime or discomfort! It is the perfect renewal system for those who want to approach beauty from a more holistic and natural perspective. ELR is much more than a cosmetic procedure. ELR™ is a revitalization process for the entire body designed to make you look and feel renewed. Microcurrent is electric current in millionths of an ampere. It can relieve pain, increase the rate of wound healing, increase protein synthesis, stimulate the regeneration of injured tissue and stimulate lymphatic flow. Microcurrent flows at one millionth of an ampere and is therefore delivered at a scale similar to current the body produces on its own in each cell. Microcurrent technology is the core of Energy Light Rejuvenation™. Microcurrent has been used successfully for decades by acupuncturists and other wellness professionals for pain management and the treatment of various medical conditions. It is an extraordinarily effective modality for meridian balancing, healing acceleration and non-needle acupuncture for needle sensitive patients. What makes Energy Light Rejuvenation™ different from other facial rejuvenation treatments? Everything! Energy Light Rejuvenation™ stimulates the regeneration of healthy skin tissue by working in harmony with the natural process of the body. ELR™ is holistic and high-tech. The rejuvenation process of ELR™ has no negative side effects- no swelling, redness, numbness or flaking. 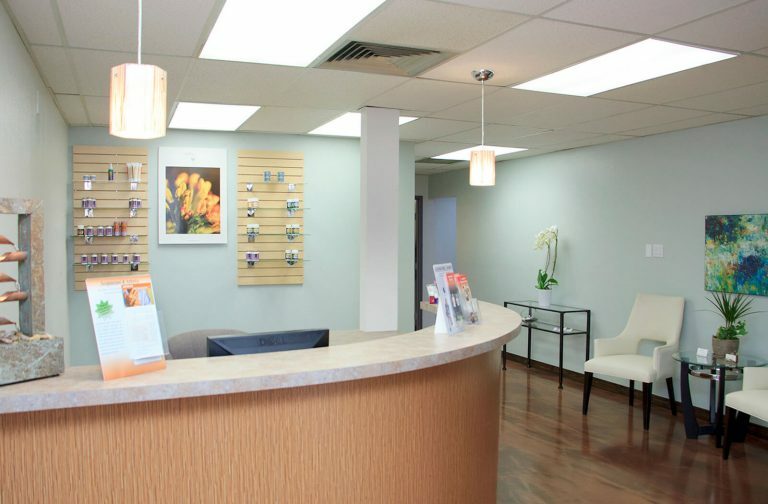 We only offer the side benefit of feeling as great as you look! ELR is an effective, natural alternative to a surgical facelift. It involves the use of microcurrent stimulation combined with therapeutic colored light applied in a specific protocol which includes the use of acupuncture points on the face. This system was developed by Dr. Darren Starwynn, an acupuncturist and microcurrent researcher, and a team of health care and aesthetic professionals. ELR works in harmony with the body’s natural energy systems. According to Dr. Starwynn, the lifting and rejuvenation effects take place through the adjustment of facial muscle tone, detoxification and cleansing of the skin, and stimulation of the acupuncture meridian system. Most clients notice positive changes in their faces after the first session. A series of sessions is required to re-educate the facial muscles and accomplish rejuvenation of the facial tissues and energy systems. How many sessions are required for lasting results? Each person is different, for most clients, 10-20 sessions over a 5 to 7-week period will provide a gratifying, long-lasting effect. Ideal scheduling is 2-3 sessions the first week, 2 sessions in week 2 and 3 weekly sessions until the maximum benefit is achieved approximately 10-20 sessions. Patients under 40 years of age will generally need 10 treatments. Patients over 40 tend to need 15 or 20, depending on skin condition. Patients in their 30’s can begin treatment as a preventative measure to slow the aging process; this works on a cellular level to keep the skin healthy. Smokers, drinkers, drug users and sunbathers usually need additional treatments beyond the initial 15 to 20 treatments. To retain the full benefits, you should receive a maintenance treatment every 4 to 8 weeks after completing the initial series. The frequency of maintenance sessions depends on age and skin condition. They range from 4 – 10 weeks. Talk to your wellness and health professional about your diet and exercise and discuss healthy lifestyle choices. Drink plenty of water, protect yourself from excessive sun exposure, eat fruits and vegetables high in anti-oxidants! Use proper cleansing, moisturizing and maintenance of your skin. Natural and organic skincare products free from harsh chemicals are recommended. Pollution, makeup and/or poor cleansing habits can block pores; use a gentle yet effective cleanser every day. Clean skin is the first step to beautiful skin! The sun provides us with warmth, energy and supplies us with Vitamin D. However, overexposure to the sun can be harmful. Wear sunglasses, a hat and protective clothing when possible, and opt to sit in the shade. Smoking, alcohol, drug use and caffeinated beverages take their toll. Relax! Reducing stress and tension in your life will benefit your mind and body. Sleep well. Sleep rejuvenates the body and the mind.